“We’re going to stay vigilant,” a local worshipper said. Graffiti left during an alleged arson on a Southern California mosque early Sunday morning mentioned an attack in New Zealand that killed 50 Muslim worshippers earlier this month, authorities said. In an interview, Escondido Police Department Lt. Chris Lick wouldn’t say what the graffiti said, though he added that local and federal authorities were investigating the incident as a hate crime. 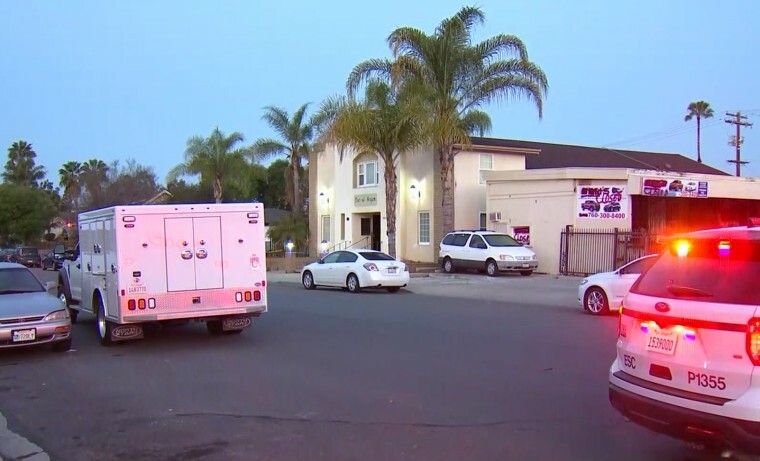 No suspects had been identified and no one was injured in the fire that broke out around 3 a.m. local time at the Dar Ul Arqam mosque in Escondido, north of San Diego, Lick said. Lick added that worshippers staying at the mosque overnight extinguished the blaze, which caused minor damage to the building’s facade, he said. A member of the local Muslim community, Yusef Miller, told NBC San Diego that the fire and graffiti left worshippers on edge. Miller told the station that Dar Ul Arqam opened four years ago and serves a community of hundreds. In New Zealand on Sunday, an estimated 40,000 people attended an event in Christchurch honoring those killed in the March 15 attack on two mosques. The 28-year-old suspect in the attack appeared to have posted a 74-page manifesto that expressed a white supremacist worldview and anti-Muslim rhetoric.